Both Sullas and Green Armadillo of PvD made some interesting posts about SWTOR's cash shop in the past couple of days. I've been meaning to write about the subject myself. Basically, in case you somehow don't remember, I was quite opposed to the game transitioning to free to play. In my ideal world it would have remained sustainable as subscription only, but I pretty much made my peace with not getting that. It probably helps that even though the free-to-play conversion has had some pretty dramatic effects on the game, my experience as a continued subscriber hasn't actually been affected that much. 1. I was worried about having the new payment model pushed in my face and having to deal with intrusive advertising reminding me to buy stuff from the shop every five minutes. 2. I know this is something that a lot of people will scoff at, but I was worried about the effect the cash shop would have on my immersion in the game. People love to buy silly random crap, so obviously Bioware will sell them silly random crap... but will it still feel like Star Wars if the fleet gets overrun by the SWTOR equivalent of sparkle ponies? 3. If most of their revenue came from selling items in the shop, development resources would shift to making more items for the shop, instead of, you know, working on actual gameplay additions. Point one has just been a pleasant surprise all around. Yes, the Cartel Market button is a pretty prominent part of the UI, but it's not as bad as it could be, and seeing how it's located on the top bar it's honestly fairly out of the way. Most importantly, it's simply there for me to take it or leave it, with no obnoxious pop-ups or anything of the like attempting to remind me of it every five minutes. Even the infamous gambling boxes seem to be fairly low-key compared to other games as far as I understand it. Where other F2P MMOs drop locked boxes out in the world in an attempt to make you buy keys for them ("hey, you already got the box, what's a little money for a key") and thus constantly remind you of the cash shop, SWTOR's are again something that you can simply buy in the shop if you want to - or you can ignore them completely. You only get the occasional reminder of their existence when someone near you goes on a spending spree on the fleet and it sounds like there's a mortar volley coming down somewhere close-by, going by the sound of all those boxes slamming into the ground. As for my fear of the harming of immersion... that one's a funny one, because in a way it's completely come true. 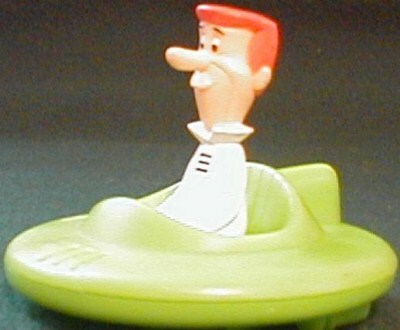 People are prancing around in silly bikinis all over, Jedi dress up like Sith and vice versa, and both scoot around the fleet on "thrones" that make them look they just escaped from the Jetsons. I don't really get the appeal in most cases, but some of my guildies are going absolutely bananas over this stuff. Still, I laugh and shake my head a little, but other than that it doesn't actually annoy me that much, which surprised me. I don't think it's that I don't care about immersion, but after all this is Star Wars we're talking about, where the very source material contains things like Ewoks, alien strippers and musicians that leave you unsure of which orifice they use to produce sounds, and that's without even getting into some of the expanded universe stuff. I guess the game is less serious now than it was, but it still doesn't feel like it's completely deviated from its original IP. Now as far as the last of my three fears goes, that's something that I can't yet determine after only two months anyway. I've certainly noticed that the first thing on each new set of patch notes is a big chunk of new cartel market changes and additions that I don't really care about. However, Damion Schubert has also gone on record for saying that the success of the cash shop has allowed them to allocate more resources to working on the game in general, which would definitely be a good thing if it turns out to be true. So, as a subscriber the game is still as good as ever and apparently its performing better for EA as well. What more can you really ask for? Isn't the holo trainer something you get from the Cartel Market? If so, that is a very cool thing. Being able to train while out in the wild is nice, especially if you're kind of really in deep in Zone Zero in Taris and you really don't want to slog all the way back. The gear doesn't really bother me much, since with the exception of my Smuggler I don't have any toons at max level. Ergo, I'm not at the fleet much to see all of the costumes. Besides, you can always wear that slave outfit from Nar Shadda without using the Cartel Market. Oh, I'm definitely not saying it's all bad or even that it's all new. There's just... so much more of the silly stuff than there used to be. People had to actively seek out the slave costume. Now the GTN is flooded with cheap "dancer" outfits since they are one of the "junk" items from the packs. I still chuckle at the people who post in Gen Chat "Where do I find a slave outfit?" Oh, and the Mini-Reds say "Hi!" So far, it does seem to be going reasonably well, though it's somewhat hard to completely kill a game inside of two months. It will be very interesting to see where we are a year from now, in particular how quickly they are able to produce a second "expansion" without all of the staff who worked on the current one back before F2P. Blogspot is a bit weird with how it decides which country's extension to put at the end of each URL. Still haven't quite figured out the purpose behind it. I still don't get this either. Doesn't it just change the extension depending on the country the visitor is from? For me your blog says swtorcommando.blogspot.nl, while it's clearly .com in my blog list. I wish we could just set one extension ourselves, this is pretty confusing. On the interface editor, you can just turn your Cartel Market button really, really transparent. That's what I did! Now, it's just a ghostly orange marker that I can move when I feel the need to. Hehe, this subject is still on my blog's to do list as well! My fears were partly the same as you: I was fearing the cartel market would break the immersion, but I agree that the increased crazy stuff running and floating around fits in the playful nature of the game. Also, the market seems to have the general goodwill of most people in-game, which I think is very important or its success.